1. Water absorption level 8.5 meters. Excellent self-absorption, high water volume, and high head. 2. Can be operated separately, or jointly. 3. Use world renowned brand of mechanical seal, without leaks, doesn't damage shaft, without the trouble of entering gland packing. 4. 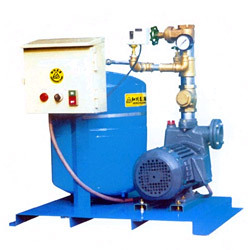 HTA series is automatic turbine pump.